On 13 February, Belarus’s main state television channel aired a 25-minute broadcast praising the Greek Catholic Church. The positive coverage signifies a change in how the Belarusian authorities treat this marginalised institution, which was previously viewed with suspicion. Dominant on the territory of modern-day Belarus in the 17th to 18th centuries, the Greek Catholic Church (also called the Uniate Church) struggles to attract believers and find allies today. The situation is difficult because the Uniate Church has been criticised by the Orthodox Church, which commands the largest following in the country, and shunned by the Catholic Church, which is concerned that the Greek Catholics could undermine its already fragile relationship with the Orthodox Church. The Uniate Church was born in 1596 when the Kievan Church severed relations with the Eastern Orthodox Church and came under the authority of the Catholic Pope by signing on to the Union of Brest. The decision affected the orthodox population of the Polish-Lithuanian Commonwealth, concentrated on the territories of modern-day Belarus and Ukraine. The Union allowed King Sigismund III Vasa, a devout Catholic, to extend his influence over the population loyal to Russian Orthodoxy at the time. In practise, the Union meant that all Orthodox Christians passed under the control of the Pope in Rome, but retained their ecclesiastical traditions. It also meant that the Uniate-dominated Ukrainian and Belarusian territories were religiously distinct from both the Orthodox Russian empire and Catholic Polish lands. According to historians, by the end of the 18th century, about 70 to 75 per cent of the local population identified themselves as Uniates. The fortunes of the Uniate Church were reversed following the partition of the Polish-Lithuanian Commonwealth in 1795, when the Russian Empire gained control over most of the territory of modern-day Belarus and parts of Ukraine. Moscow sought to weaken the influence of the Greek Catholic Church. After many Uniates joined the uprising against Russia in 1830-1831, the Uniate was dissolved altogether. Alexander Nadson, the most famous Greek Catholic priest of the modern era, wrote that “[w]hat the Russian government realised was that as long as Belarusians remained Uniates, the policy of Russification was doomed to failure”. Since then, the Uniates have made several attempts to restore their church in Belarus, operating largely from exile during the Soviet era in 1945-1990, and subsequently reestablishing themselves on Belarusian soil. Before the Soviet Union collapsed, just one Greek Catholic priest, Viktar Danilau, remained in Belarus. He secretly performed liturgies and published religious books. In 1990, Greek Catholics conducted the first public liturgy in the Belarusian language in Minsk since 1839. Twenty-five years later, there are sixteen Uniate priests in the country. Several other priests perform services outside Belarus – in London, Antwerp and Minneapolis. Siarhiej Stasievich, a Belarusian Greek Catholic priest based in London, estimates the number of Uniate believers at around 2,000. The number of regular practitioners is probably smaller. The annual pilgrimage of Belarusian Greek Catholics to Polatsk, the most ancient Belarusian town, gathers about 100 people –not insignificant, but certainly not a large movement. The territorial reach of the Greek Catholic Church within Belarus remains limited as well. New churches were built in Polatsk and Brest and some small parishes and chapels have been established in the rest of the country. The Uniate Church also holds services in Latin Catholic churches and has a major centre with a chapel and library in Minsk. Currently, the first-ever Belarusian Greek Catholic church outside Belarus is being erected in London. The structure of the Uniate Church remains weak. It is the only church among the Eastern Catholic Churches without a canonical head in the form of a bishop. So far, Siarhiej Hajek has fulfilled the office of the Apostolic visitor for Greek Catholics in Belarus. Until 2015, Alexander Nadson performed a similar function for Belarusian Greek-Catholics living abroad. Nadson passed away in 2015 and his office remains vacant. According to Stasievich, Greek Catholics currently lack native candidates for bishops, as almost all priests are married or too young. Bishops must have served as priests for at least 10 years and are bound to celibacy. Until now, the significance of the Greek Catholic Church has remained small, although numbers of the faithful, priests and places of worship is gradually increasing. Why has the Uniate Church failed to develop since the introduction of freedom of religion after the collapse of the Soviet Union? For a start, many Belarusians are atheists. According to a 2009 Gallup study, only 34 per cent of Belarusians considered religion an important part of their lives. In such circumstances, the restoration of any denomination is difficult. While this number is similar to that in Russia, 46 per cent of Ukrainians and 75 per cent of Poles view religion as important. Many Orthodox theologians attack Greek Catholics. For example, in 2015 Siarhej Hardun from the Belarusian State University claimed to the media that the Uniate Church had denationalised Belarusians and argued that “Belarusians should remember their Russian roots”. On occasion, the Orthodox Church also holds liturgies to commemorate the year 1839, when the parishes of the Greek Catholic Church were forcefully joined to the Orthodox Church at the behest of the Russian Crown. 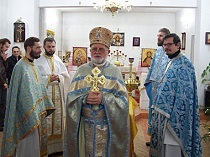 The most recent liturgy of this kind took place in Salihorsk on 25 February of this year. The Roman Catholic hierarchy also remains reluctant to support the Uniate Church out of fear it might further undermine its uneasy relations with the Orthodox Church. On 12 February, Pope Francis and the Patriarch of the Russian Orthodox Church signed a joint declaration, saying among other things that the Uniatism represents the wrong path for achieving the unity of Christians. Currently the Roman Catholic Church prefers ecumenism, an idea of mutual recognition of the churches, rather than encouraging other churches, especially Eastern, to come under the jurisdiction of the Papacy. Third, the Belarusian Greek Catholic Church has a difficult relationship with the authorities. For example, in 2008, Belarusian state television broadcast a film that spoke of the “hostility” of the Greek Catholic Church in Belarus. The Uniate Church has also failed to secure permission for the construction of temples in Minsk and other Belarusian cities because many local officials are afraid to cooperate with the Greek Catholics. The broadcast, aired by Belarus 1 on 13 February, may signify a change in the attitude toward the Uniate Church by the Belarusian authorities. Under President Alexander Lukashenka, who has been in office for over 20 years, state-run media had never before issued such a long statement regarding the Greek Catholics, let alone such a positive description of their historical background and contribution to Belarusian society. While a brief broadcast is hardly a game changer, it certainly marks a step toward a better relationship. Increased public awareness about the existence of the Uniate Church, coupled with recognition from the state, is what the Greek Catholic Church needs to grow and evolve as an institution in Belarusian society. On 16 February 2016, President Alexander Lukashenka announced zero tolerance for structural reforms being proposed by the government. Meanwhile, since the beginning of 2015 state debt has increased by more than half and real wages in dollar equivalent have fallen to a ten year low. Belarus's government is still trying to find a simple way out of the crisis by releasing new development plans while waiting for credit from the IMF and Russia. On 18 January 2016 Minister of Economy Vladimir Zinovskii predicted a tough 2016, and said it would influence Belarus’s economic performance in the next five years. The World Bank believes Belarus' GDP will contract this year by 0.5 per cent. Taking into account these forecasts, experts speak morosely of a "new reality", admitting that previous methods of dealing with the country's economic problems have been exhausted. 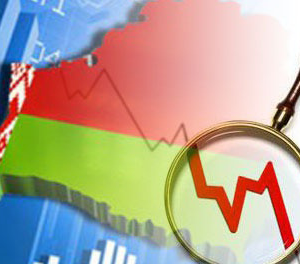 According to representative of the National Academy of Sciences of Belarus Georgy Grits, the economy has entered a prolonged recession and unpopular measures are needed to find a way out of it. Economic data published on 20 February 2016 indicates that the country has started the new year by repeating the acute problems that began in 2015. GDP has dropped by 4.3 per cent and industrial production has shrunk by 6.8 per cent (see Figure 1). However, in contrast to 2015 the budget for 2016 is based on much more shaky ground. The state finances for 2016 assumed an average oil price of $50 a barrel and a small budget deficit. But turbulence in the oil market in January, when the price of oil dropped to $30 per barrel, has put hopes for such a scenario to rest. The government has announced that it will introduce deep spending cuts and tax increases. All this adds up to trouble and a declining economy. Belarusian families will face a fundamental degradation in their quality of life. The process has just begun. Last year real wages in dollar equivalent fell by more than 12 per cent. Additionally, on 1 January 2016 the government increased tariffs for heating and hot water by one third, and plan to cut back subsidies to increase the consumer payment level for utilities to 80 per cent. So, the first phase of Belarus’s crisis in 2015 has revealed all its consequences for enterprises. But for ordinary Belarusians, phase two is only just starting, and looks to be much worse. In previous years the bullish case for Belarus depended on the belief that the state machine could always combat a slowdown by repeating its well-known trick – printing roubles. As a result, with higher spending from people and increased industrial production, economic growth engaged its second gear. But today’s situation differs. Without extra money from oil and new contracts with Russia, such a policy will increase prices and decrease the ruble exchange rate, further reducing income for Belarusian families. Add here increasing debts and drawing down of national reserves, mix the ingredients and you will get a toxic combination (see Figure 2). The warning signs are there that despite a more flexible exchange rate, reserves are steadily evaporating. The only way to replenish them remains external borrowing. Thanks to the gods, Russia has decided to spare its neighbour and has announced that it will dispense a $2bn loan to Belarus in the near future. Additionally, the weakening currency and the National Bank of Belarus’s (NBB) new policy for deposits are prompting savers to scrape up their money from the banks. According to the NBB, in the last seven months ruble deposits have declined by almost 30 per cent. The problem lies in people’s expectation of a further devaluation, creating a self-fulfilling reduction in savers' confidence. However, the biggest trouble concerns state debt. Since the beginning of 2015 it has increased by 66.4 per cent and is approaching the threshold value for economic security. It has reached 22.7 per cent of GDP with a threshold value of 25 per cent. Further, excessive government borrowing that is used to finance a sharply increasing budget deficit has caused a crowding-out effect in the economy. When the state becomes a borrower it pushes out competition from the private sector, leaving only crumbs on the investment market and thus decreasing the market's efficiency. It is easy to say, but Belarus should have cleaned up its financial system and freed its exchange rate several years ago. Now the economy has slowed, debt has piled up and the dollar earnings from oil refining have been drained, leaving almost no painless way out. So far Belarus's rescuers have focused too much on raising taxes and cutting spending, and too little on reforming the state and freeing up the economy. The economic downturn has seen wages fall considerably, and the country remains chronically uncompetitive. It will be essential to broaden and deepen Belarus’s economy before its biggest advantage, a cheap workforce, is spent. However, the government proposed to begin with budgetary reform and anti-crisis plan. Next, the Ministry of Foreign Affairs declared its program for export development. State-owned enterprises are apparently uncertain of how to diversify the supply of products. Meanwhile, on 18 February 2016 the Minister of Economy of Belarus Uladzimir Zinouski made the most significant proposal yet. He suggested carrying out government optimisation by reducing the number of ministries, thus increasing the efficiency of decision making. However, experts have pointed out that on the whole these measures hardly count as game-changing reforms. According to Belarusian economist Sergei Chaly, the authorities still have an ongoing dispute about the key problem in the economy: some senior officials propose to reform the public sector by privatising state-owned enterprises, while others argue that the biggest problem concerns the monetary policy that led to the high cost of loans and inefficiency of state companies. If Belarus’s authorities still show exceptional resistance to implementing real reforms, decreasing reserves, increasing state debt and evaporating savings are transforming into an incurable disease for a slowing-down economy.